Last week I was working my office when a student came in and asked that I unlock a side room. He commented that I was working late that night. I glanced at the clock saw that it was only 6:45 p.m. and thought to myself, this is still early. I replied to the student that these were normal work hours for me. Nothing about that conversation was extraordinary, yet I found myself thinking back to it hours later. That is my normal. This is undoubtedly a similar to many of my colleagues. Our work culture can be pretty intense. Weekends are normal, evenings are normal, and in the spring working on Sunday mornings is normal. That’s just the way it is. But should any of this be normal? It brought to mind the recent news from France that two work unions banned working after 6 p.m., including checking your work e-mail from your smartphone. 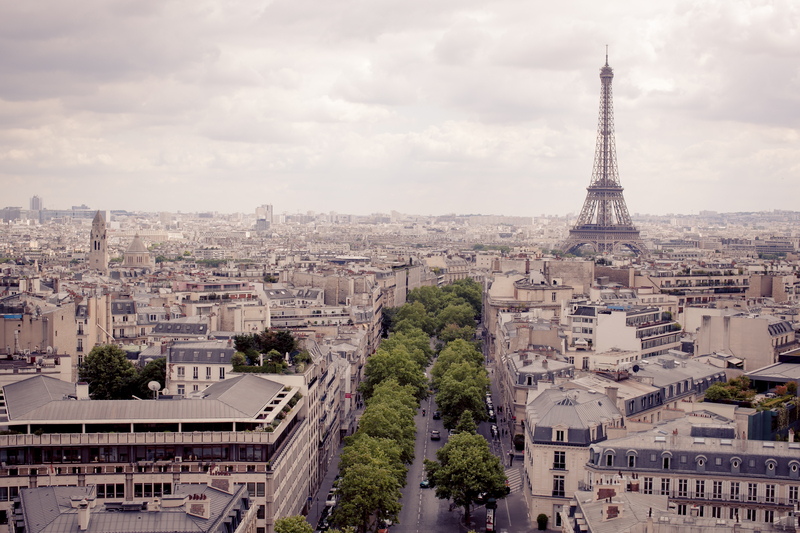 Envied by many countries for their 35-hour work week, France is well known for their Joie de vivre. For France, short work weeks and long vacations are the norm. For the U.S., not so much. I'm always fascinated by cultural norms, what is acceptable in one culture is not appropriate or is even downright unacceptable in another. If you were to ask someone why they do something, they would respond with that's just the way it is. For example, have you ever thought why most women wear their hair long while men typically keep it short? Why do men not wear skirts or makeup? Why do we shake hands in the U.S., while many other cultures greet each other with a kiss? You don’t think to question why something is, it just simply is. What else are we accustomed to? What cultural norms are unhealthy or unfair? It used to be normal to give children whiskey to cure a cough, it used to be normal to smoke indoors or to drink while pregnant. Because of research, there is now scientific proof that many of these long held traditions were harmful. In many regions, it’s normal for multiple generations to live together in a one room house. It’s normal not to have enough food to eat. It’s not out of the ordinary in many families (domestically and internationally) for young girls to get pregnant and drop out of school, or for generations of families to rely on government assistance. It begs the question, what is normal? Is it merely whatever the majority of a population is participating in or experiencing? Why are girls not equally valued and kept from going to school in many cultures? Why are child brides seen as acceptable marriage material in some regions of the world? Why do less than a quarter of San Bernardino adults hold a college degree? Because that’s “normal” and it’s how it’s always been. I don’t know about you, but I don’t want to settle for normal. I believe I’m called to a higher standard, both as a Christian and as a public health professional. As public health professionals whose foundations are in social justice, we are tasked with enhancing the physical and social environments of the public — environments that reflect decisions a society makes, both unintentionally and intentionally. So ask the tough questions: Can we do better? Is this hindering our community or building it up? The answers are rarely simple or easy, but we should never be satisfied as long as the answer is that’s just the way it is.